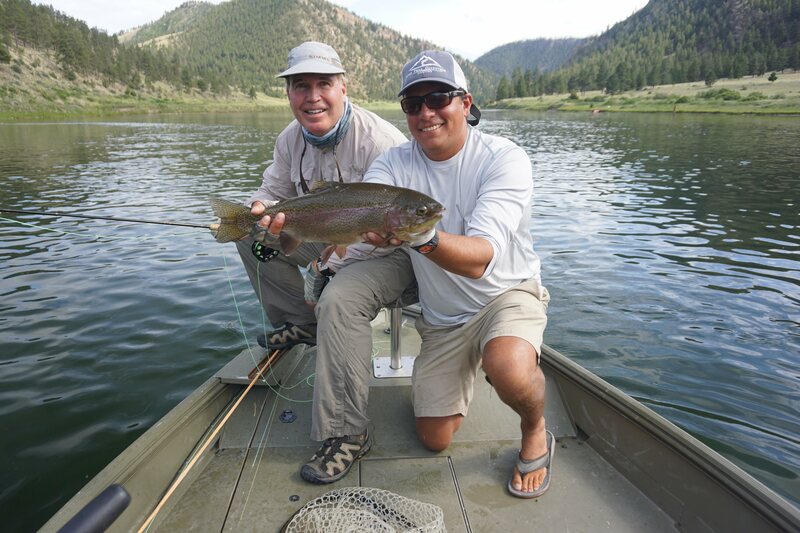 A beautiful, big rainbow trout from the Land of the Giants section of the Missouri River. We usually do not fish the land of the giants very often after about June first but its always a nice change of pace to get up there and this trip was no different. We had 80-degree weather with no with and the PMD’s were coming off of the water by the thousands. The dry fly bite never really turned on but the nymph fishing was insane and lots of big fish were eating a variety of nymphs in the 18-20-size range. 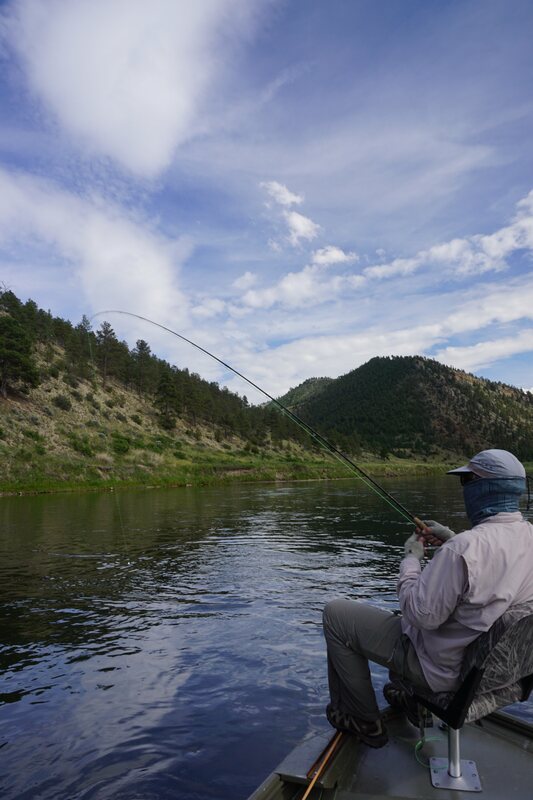 The fish were holding in the deeper, faster runs in the river and on the edges of weed beds. Its hard to beat LOG for high numbers of big fish.